Draft: 2012, Boston Red Sox, 4th rd. Ty Douglas Buttrey... As part of Red Sox Rookie Development Program in January 2018, helped paint murals at the Dimock Center in Roxbury, MA, and visited patients at Boston Childrenfs Hospital... Attended Major League Spring Training for first time in 2018 with Boston after being added to 40-man roster, Nov. 20, 2017... Played in 2017 Arizona Fall League for AFL Champion Peoria, representing Red Sox organization... In Red Sox organization, pitched primarily as a starter until moving to bullpen in June 2016... Attended Providence Senior HS (NC)...Went 9-2 with a 0.91 ERA (69 IP - 7 ER) during senior season... Ranked as #9 prospect in Angels system following the 2018 season by Baseball America... Named by Baseball America as having best changeup in Red Sox system following the 2017 season... Originally signed by Red Sox scout Quincy Boyd. Made Major League debut with Angels Aug. 16 at Texas and worked one scoreless inning...Became 32nd different pitcher used by Angels in 2018, which set new club record (previous was 31 in 2017)... Earned first career save Sept. 7 at White Sox with one perfect inning pitched... Recorded four saves within first 14 career games, joining Minnie Rojas (1966) as only Angels to do so...In that span pitched to a 0.59 ERA (15.1 IP - 1 ER) to begin career... Opened year with Triple-A Pawtucket and registered a 2.25 ERA (44 IP - 11 ER) in 32 games for PawSox... His 13.09 strikeouts per nine innings rate ranked second among International League relievers through end of July... Missed two weeks of season in late July on minor league disabled with right knee inflammation... Acquired by Angels July 30 along with LHP Williams Jerez in exchange for INF Ian Kinsler and cash considerations... Made one rehab appearance with AZL Angels before joining Triple-A Salt Lake Aug. 9. Posted a 4.81 ERA (34 ER/63.2 IP) with 10.46 SO/9.0 IP in 40 games between Double-A Portland and Triple-A Pawtucket...Held RHH to a .198/.282/.244 batting line between the 2 clubs (26-for-131, 3 2B, 1 HR, 14 BB, 43 SO). Appeared in 10 games over 2 stints with the PawSox (6/4-7/13 and 7/18-21). Began the year with the Sea Dogs and earned the win in his season debut on 4/7 vs. Reading...Earned his 1st career save in his 2nd game on 4/10 vs. Binghamton. Allowed 0 R in his final 2 games with Pawtucket (5.0 IP). Earned his 1st Triple-A win with 3.0 scoreless innings on 7/18 vs. Toledo. Allowed 4 ER in 0.0 IP on 8/27 vs. Binghamton, but posted a 2.25 ERA (8 ER/32.0 IP) in his other 22 games from 7/7 through the end of the Arizona Fall League season. Posted a 2.16 ERA (2 ER/8.1 IP) in 7 appearances for AFL champion Peoria. Added to the Red Sox' 40-man roster on 11/20. 16 de agosto de 2018 Los Angeles Angels llamado RHP Ty Buttrey de Salt Lake Bees. 9 de agosto de 2018 Salt Lake Bees activan a RHP Ty Buttrey de la 7-d&iacute;a lista de deshabilitado. 6 de agosto de 2018 Salt Lake Bees envian a RHP Ty Buttrey una asignaci&oacute;n de rehabilitaci&oacute;n a AZL Angels. 31 de julio de 2018 Los Angeles Angels cambian a 2B Ian Kinsler and cash a Boston Red Sox for RHP Ty Buttrey and LHP Williams Jerez. 31 de julio de 2018 RHP Ty Buttrey asignado a Salt Lake Bees. 25 de julio de 2018 Pawtucket Red Sox ponen a RHP Ty Buttrey on the 7-d&iacute;a lista de deshabilitado retroactivo al July 23, 2018. 11 de marzo de 2018 Boston Red Sox opcionado RHP Ty Buttrey para Pawtucket Red Sox. 20 de noviembre de 2017 Boston Red Sox seleccionado el contrato de Ty Buttrey de Portland Sea Dogs. 22 de julio de 2017 RHP Ty Buttrey asignado a Portland Sea Dogs de Pawtucket Red Sox. 18 de julio de 2017 RHP Ty Buttrey asignado a Pawtucket Red Sox de Portland Sea Dogs. 14 de julio de 2017 RHP Ty Buttrey asignado a Portland Sea Dogs de Pawtucket Red Sox. 4 de junio de 2017 RHP Ty Buttrey asignado a Pawtucket Red Sox de Portland Sea Dogs. 22 de mayo de 2017 Portland Sea Dogs activan a RHP Ty Buttrey de la lista temporalmente inactiva. 19 de mayo de 2017 Portland Sea Dogs ponen a RHP Ty Buttrey en la lista de inactivos temporalmente. 23 de febrero de 2017 RHP Ty Buttrey asignado a Boston Red Sox. 6 de abril de 2016 RHP Ty Buttrey asignado a Portland Sea Dogs de Salem Red Sox. 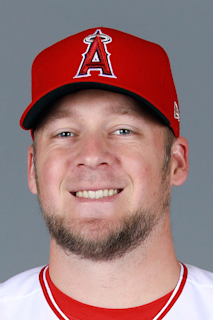 1 de mayo de 2015 RHP Ty Buttrey asignado a Salem Red Sox de Greenville Drive. 29 de julio de 2014 Greenville Drive activan a RHP Ty Buttrey de la 7-d&iacute;a lista de deshabilitado. 12 de julio de 2014 Greenville Drive envian a RHP Ty Buttrey una asignaci&oacute;n de rehabilitaci&oacute;n a Lowell Spinners. 3 de julio de 2014 Greenville Drive envian a RHP Ty Buttrey una asignaci&oacute;n de rehabilitaci&oacute;n a GCL Red Sox. 19 de mayo de 2014 Greenville Drive ponen a RHP Ty Buttrey en la 7-d&iacute;a lista de deshabilitado. 2 de mayo de 2014 RHP Ty Buttrey asignado a Greenville Drive de Lowell Spinners. 13 de junio de 2013 RHP Ty Buttrey asignado a Lowell Spinners de GCL Red Sox. 27 de junio de 2012 Ty Buttrey asignado a GCL Red Sox. 15 de junio de 2012 Boston Red Sox firmado RHP Ty Buttrey.